Panda bears…who could possibly resist?! To say these little panda bears are adorable is an understatement; they have achieved new levels of adorableness! 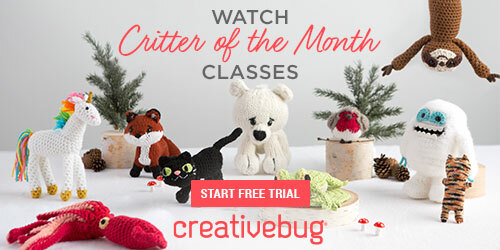 Your collection of Amigurumi characters is just not complete without these little ones. So cuddly cute and photogenic. And what an awesome handmade gift this little panda would be for someone special. This wonderful free Little Bigfoot Panda pattern is by designer Sharon Ojala of Amigurumi To Go. It uses a 4.50 mm crochet hook and Red Heart Comfort yarn. More of these cute pictures, a video tutorial, complete instructions….. I wish to subscribe to your site!! !